In a joint letter, executives from a number of European companies, including Spotify co-founder Daniel Ek and Deezer CEO Hans-Holger Albrecht, urged the European Commission to ensure "a level playing field" for products marketed on platforms like Apple's App Store, the Financial Times reports. Along with streaming music services, signatories include games publishers and developers. Echoing statements made in previous complaints, the companies claim larger platform operators that are also competitors, like Apple and Amazon, put them at a crucial disadvantage. Apple, for example, runs the iOS App Store, a dominant player in the app distribution game, where it also markets the Apple Music streaming service. 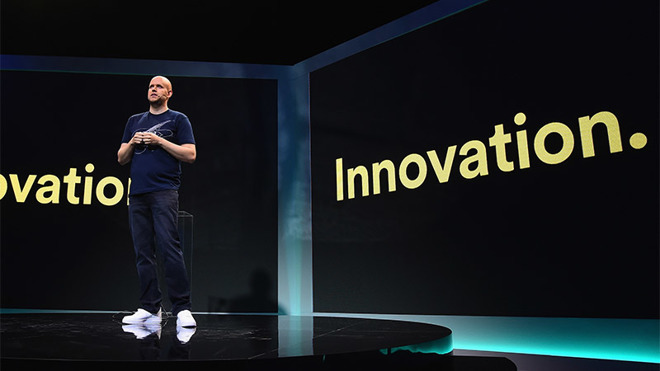 As it has done in the past on more than one occasion, Spotify notes it must pay Apple 30 percent of all App Store revenue, including fees for recurring subscriptions. The streaming music service failed to mention that Apple recently updated its subscription policy by dropping its cut to 15 percent for subscriptions older than one year. To offset Apple's take, Spotify sells its premium subscription tier for $13 per month when users sign up through the iOS app, a $3 premium over the $10 users pay when registering through the web. Spotify has said that it views Apple's cut as "a weapon to harm competitors," as Apple sells its own music service for $10 per month. In any case, it seems Apple's concession are not enough. The group of companies, which includes UK-based shopping comparison site Foundem, seeks "clear and enforceable obligations that are a deterrent and prevent unfair businesses practices by platforms." "These obligations should include but go beyond mere transparency requirements, which alone will not ensure platforms act as gateways rather than become gatekeepers to the digital economy," the letter reads. The group also assert that platform owners like Apple do not allow access to comprehensive user analytics, a complaint that has cropped up in the past. The letter arrives as the commission considers a drastic overhaul of its digital policy. Among the topics of debate are allegedly unfair contracts mandated by dominant platforms like Apple's App Store. Previous reports suggest the commission is thinking about creating an independent body to handle disputes between large companies and smaller firms. Today's complaint is the latest in a string of actions against Apple on the part of Spotify. Earlier this year, the streaming music firm filed a nearly identical complaint with the European Commission, though that letter failed to mention offenders by name. In 2016, Spotify went so far as to accuse Apple of monopolistic practices when an updated version of its iOS app was rejected from the App Store.